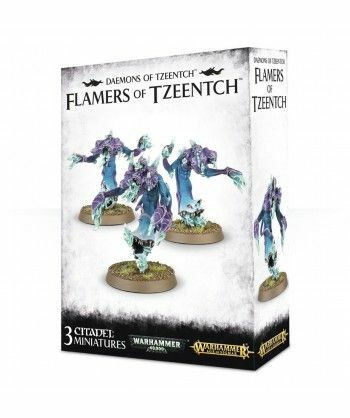 The Changer of Ways, the Master of Fortune, the Great Conspirator and the Architect of Fate – these are just some of the names of Tzeentch. 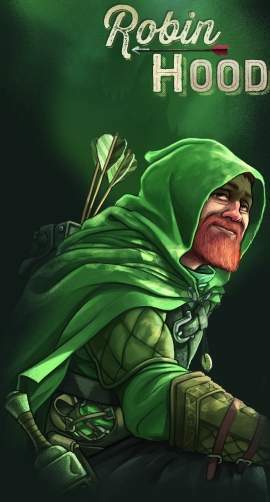 A brother god to Nurgle, Khorne and Slaanesh, and often an ally of the Horned Rat, he is the undisputed master of the arcane arts. 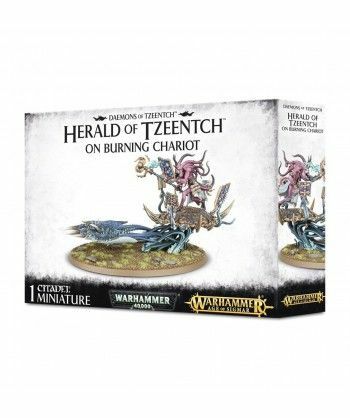 His daemonic followers swarm over the battlefields in scintillating glory, searing the land with coruscating flames of change. 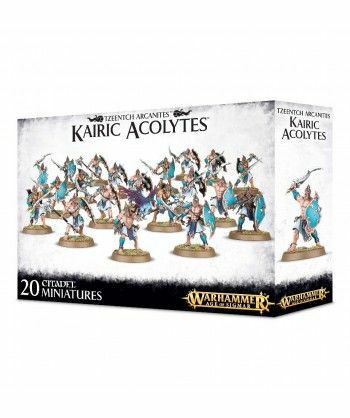 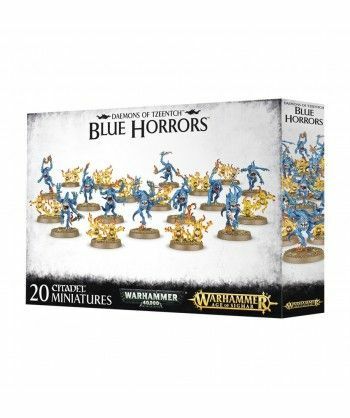 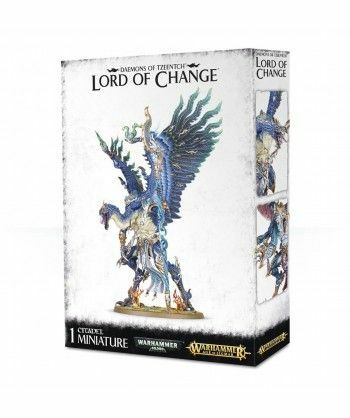 This is a great-value box set that gives you an immediate collection of fantastic Daemons of Tzeentch miniatures, which you can assemble and use right away in games of Warhammer Age of Sigmar and Warhammer 40,000! 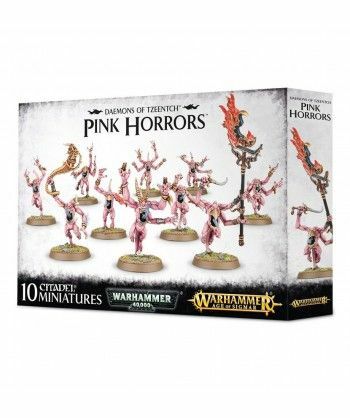 You’ll receive a Burning Chariot of Tzeentch (with optional Herald of Tzeentch on foot), 3 Flamers of Tzeentch, 3 Screamers of Tzeentch and 10 Pink Horrors.